Send Promotional Emails to your customers to promote your app and increase app downloads. 1. Customize your email for your customers. 3. Send to promote your app! Spread the word about your app and get more customers using it. Let your customers know what your app has to offer them. 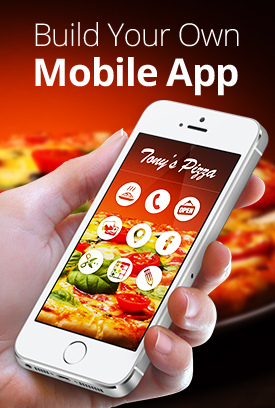 Show your customers where they can download your app. For some tips on how to write an awesome email, click here. On the side menu, click Marketing Genie and then click Promotional Emails. Enter a Title for your email. To change the title Color, click the color box, click the color you want from the rainbow and then click the color shade you want. Enter in the Body text section your email message telling your customers why they should download your app. To change the message text Color, click the color box, click the color you want from the rainbow and then click the color shade you want. Hover over the image and click the pencil icon that appears. Browse to the image you want and click Open. Use the drag-n-crop tools to adjust the image and click OK. Enter the Button text. To change the color of the button background or button text, click the corresponding color box, click the color you want from the rainbow and then click the color shade you want. This is how your promotional email can look. Now you just have to choose recipients and send it! To add recipients, click Choose Recipients. Create your public Google+ profile using your information and click Create. Click Accept to grant Swiftic the following permissions. Note: You can change these permissions at any time. Click Yes to grant Swiftic the following permissions. Note: You can change these permissions at any time in your account settings. Choose the recipients you want to send your email to by selecting all contacts, selecting or deselecting individual contacts or adding more recipients. To send, click OK. Once you send your promotional email, you can click Show Me Analytics to see how your app grows!